The Maui News – Dylan Baird scored 18 points, and Richard Chun and Darius Lauture each added 16 to lead the King Kekaulike High School boys basketball team to a 65-61 victory over Kamehameha Maui on Tuesday night at Na Alii’s gym in Pukalani. Kamalu Segundo had 14 points — hitting three 3-pointers — and Austin Peters also finished with 14 points for the Warriors, who fell to 3-5 in Maui Interscholastic League play. Na Alii improved to 3-6, moving out of the MIL cellar and into fourth place. (0-11) in the first quarter. Honey Let Padasdao, Nikilie Robinson and Kamaile Cugal each scored eight points to lead Maui High. The Sabers trailed 4-0 after the first quarter but was able to tie it up at 8 by halftime, helped by a 3-pointer from Kristi Echiverri and baskets by Kealohi Real and Robinson in the second. Alyssa Ordono was 6-of-7 from the free-throw line and finished with 10 points to lead Baldwin. At Wailuku, Fransver Castro scored 13 points and Chey Higashiguchi added 11 to lead the Sabers past the Bears. Maui High improved to 5-3. Baldwin fell to 2-6. Chayce Akaka scored 17 points, all in the second half, for the Bears. 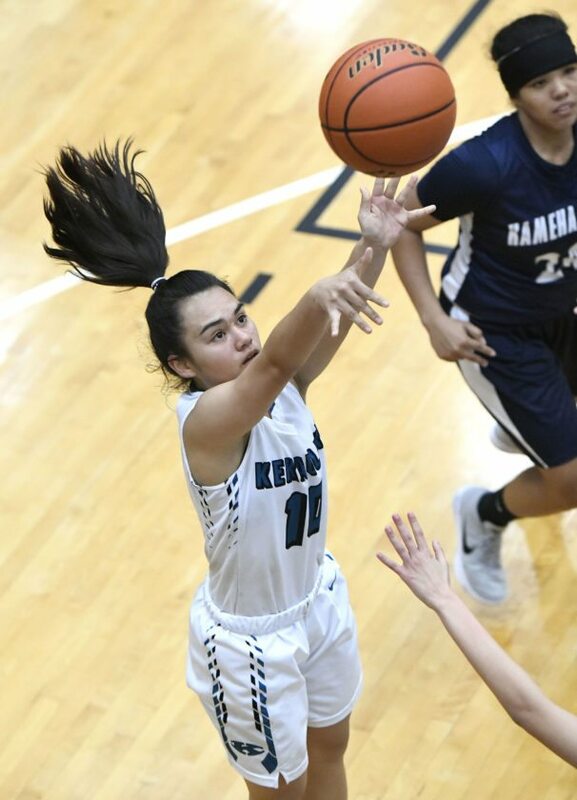 Honey Let Padasdao 8, Brianna Guzman-Kee Chong 2, Kealohi Real 2, Kylenna Rieta 0, Kristi Echiverri 3, Nikilie Robinson 8, Neil Mae Bumanglag 0, Kamaile Cugal 8. Alyssa Ordono 10, Deanelyn Tapaoan 6, Deja Cala Nakamura 3, Jacquie Agorilla 0, Melissa Caliva 6, Taylor Manangan 4, Angel Dela Cruz 0. Siena Poepoe 0, Kealia Sjostrand 1, Jamielee Felipe 1, Brylee Carillo 2, Shaylisse Gregory 1, Tatiana Soon 3, Kayla Yamashita 0, Logan Spencer 2, Kimani Fernandez-Roy 18, Mikiala Sniffen 7, Kaylee Cambra 19, Ashley Taylor Peralta 10, Angel Pauole 17, Tatiana Martinez 2. 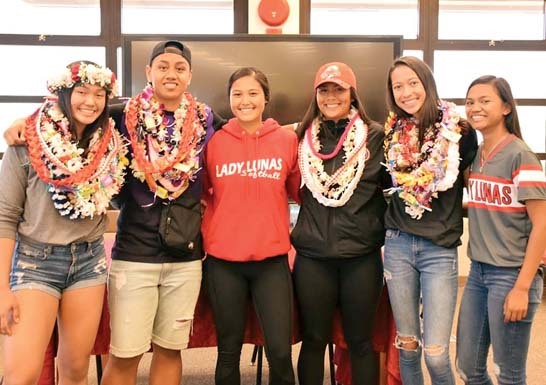 Cailyn Ukida 16, Shaye Pua 0, Charlie Abreu 3, Liane Tomita 11, Namahana Kaeo-Young 24, Daeja Callo-DePonte 1, Temahh Shaw 10, Tanisha Valdez 3, Kuulei Araneta 2. Efren Villon 2, DJ Sable 0, Rexie Butihi Jr. 0, Jojo Pacubas 2, Brycetyn Boco 0, Chey Higashiguchi 11, Fransver Castro 13, Michael Villon 2, Kevin Cacho 5, Keoki Agtaguem 6, Jayden Ramos 4, Kea Aguirre 6, Scott Magno 6. 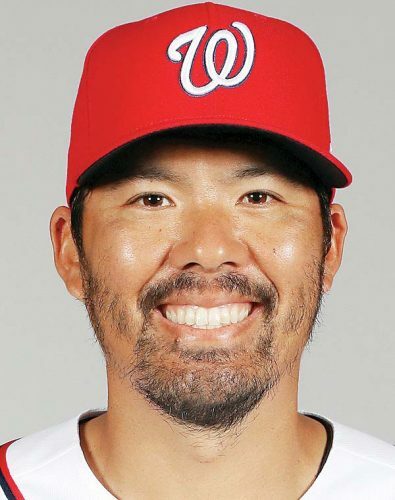 Owen Nakamura 0, Chayce Akaka 17, Mochi Dukelow 8, Miguel Agcolicol 0, Kainalu Lacno 1, Darius Pulgados 7, Mark Villalba 0, Holden Ioanis 4, Dawson Tokishi 0, Prieston Rayray 0, Zion Floyd 2, John Werner 9. Kahai Bustillos 5, Blayde Demello 4, Kaimana Gerard 9, Kamalu Segundo 14, Austin Peters 14, Ronson Iniba 2, Tiliti Adams 13 . Ethan Bediamol 6, Richard Chun 16, Darius Lauture 16, Carson Yoshida 3, Dylan Baird 18, Kaleb Chun 2, Kolby Welch 2, Kai Carbajal 2. Lahainaluna vs. Maui High at Lahaina Civic Center, 7:30 p.m.